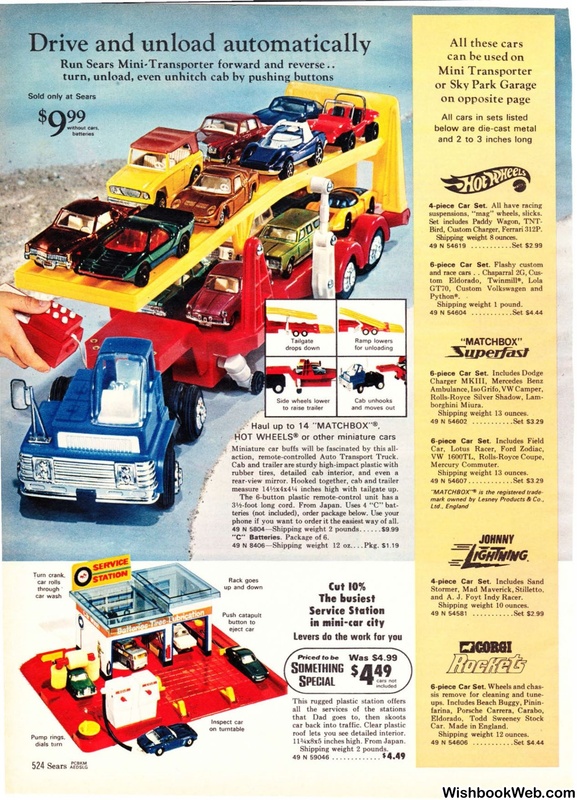 Run Sears Mini·Transporter forward and reverse ..
•• · Haul up to 14 "MATCHBOX"®. action, remote-controlled Auto Transport Truck. inches high with tailgate up. order it the easiest way of all. ..C.. Batteries. Package of 6.
roof lets you see detailed interior. l l34x8x5 inches high. From Japan . 49 N 59046 ........ . ... .
Bird, Custom Charger, Ferrari 312P.